Open Europe: Silvio: Who cares about increasing borrowing costs? It is more and more clear that this policy of “muddling through” is not working and on the contrary it has had some perverse effects on the real economy of weak European countries with additional potential systemic risks due to the increased feedback loop with their own banking system. It is also obvious that the Eurocrats/Troika undemocratic policy is putting an increased burden on taxpayers shoulders of stronger northern European countries by requiring a continuous lending of funds (bail-out), most of which will never be reimbursed. A policy of just austerity (such as that implemented by Mr. Monti in Italy over the past year) has not only been socially unequal because based on taxes which have mostly affected retired people and salaried workers without cutting unproductive public expenses and privileges of corporative interests (financing of political parties, central and local misuse of public funds, corruption, tax exemption of the Church real estate properties that amount to 23% of all Italian real estate, we could go on at length…..) but has also increased the domestic inflation rate at around +3,3% (soft financial repression which adds to the loss of households purchasing power): so summarizing one years’ experience in Italy we witness a substantial drop in GDP (-2.4%) , a marked increase of unemployment (the real country average is probably approaching 20% and the youth unemployment is closer to 35%) as well as a jump into the public debt/GDP ratio to 128% (actual stock around € 2 Tr). Only the 10-yrs bond spread between BTP and Bund has decreased but just because of the “helicopter spraying” of nearly cost-less money by the ECB. So, this policy is clearly not working (apart from the viewpoint of banks and creditors'vested interests that got a huge wealth transfer from households and taxpayers)and the potential future social consequences go from bad to worse. It does not take Mr. Roubini or Mr. Sinn's suggestions (although as valuable as they are: Mr. Sinn's road map for the Eurocrisis solution is probably the most serious practical proposal made so far) to understand that the faster this muddling through approach stops the better it is and such a stop would require: a substantial haircut of public debts, a temporary exit from the euro monetary union with subsequent restoring of trade competitiveness for weaker countries, and in parallel a serious commitment to austerity mostly on spending cuts. 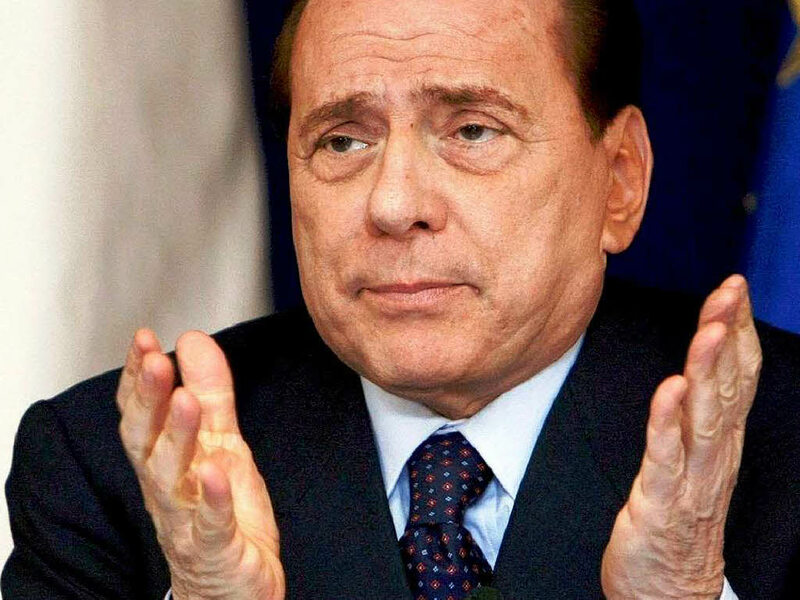 Although his chances of success are rather low, if Mr. Berlusconi succeeds in the next political elections and, unlike Mr. Bersani avowed future policy, he is no longer willing to support Mr. Monti/Napolitano approach, (with a loose coalition of Lega Nord and Italia dei Valori parties and possibly an external upholding of Movimento 5 Stelle)Italy will be compelled to stop this nonsense muddling through: the quicker this catharsis comes the better may be otherwise the country risks losing an entire decade of growth and working opportunities for a generation. We can’t envisage at present a return to real economy growth with debt/Gdp ratio above 120% for all thus decade. If this is the outcome of Mr. Berlusconi’s return (apart from his own, obvious personal interests), northern countries taxpayers would have to cheer him because they will end wasting their own savings into bottomless pits (a more suitable definition of current bail-outs). And, since they might realize sooner or later in Germany that Ms Merkel is actually going to confiscate their own savings, they might even not reappoint her next October: and Mr. Berlusconi will bask into his revenge against the Merkozy duo! Italian paradox: will Mr. Berlusconi save Italy and German taxpayers? Everyone thinks he is an idiot. But he is not. He is immensely rich and powerful, and you do not get there by being an idiot. And of course he is right. Italy will fall out of the Euro. They will default. They will pay off their bonds at 37% of face value. And Italy will carry on thriving with the new Lira. Clearly the Conservative led and LibDem supported coalition does not care about borrowing and the increasing costs. Quite obviously Labour do not worry about it as they spent without limit and propose even more than George and Vince want to spend. We will all be upset when interest rates on medium term government debt increase dramatically as a result of any loss of AAA credit rating OR the fright by international lenders. Increasing inflation, which has been undeclared government policy since 2009, will bite and drive up borrowing costs and drive down the economy and per capita income. Macmillan, Wilson and Heath blamed gnomes and trades unionists - who will Cameron or the next Labour PM blame?